If you’re a meeting planner, I’m sure you’ve had your share of experiences where transportation doesn’t go so smoothly. It may have been an accident, a snowstorm or some kind of unanticipated event, but it threw off your entire transportation plan. While some things are simply out of your control, there are other factors you can control. With advanced planning and preparation, you can minimize that impact of any unforeseen snag on attendees at your event, and ensure your event transportation continues to run seamlessly. Here are five steps that work to reduce your worry and help you provide outstanding service to your customers. You may think you can hire a local vehicle provider and handle the details of transportation planning yourself, but you will likely soon discover that the details start to get out of control. Do you want to spend your time figuring out what types of vehicles to hire for which types of events, determining the best driving routes, researching city regulations about shuttle parking, staging and idling, deciding on pick up locations, and hiring coordinators to interface with your attendees, etc.? A professional transportation and design company like Event Transportation Systems (ETS) will take all of this off your desk so you can focus on other meeting planning priorities. We all know the phrase “You get what you pay for.” If you want to ensure that your attendees receive the highest level of service and come back to you next year, handing off transportation to the lowest bidder is not ideal. 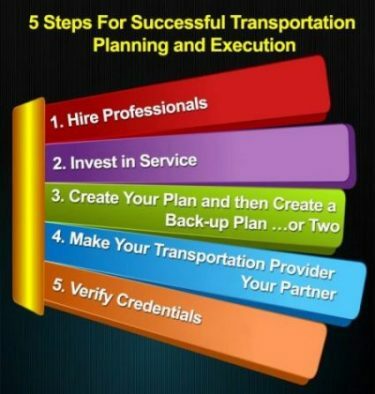 Invest in a transportation partner who will travel with you from city to city, pay attention to the uniqueness of your organization, prepare a custom plan based on your goals, and make the attendee experience a priority. Think about the various aspects of your meeting or event that are most likely to impact your transportation plan, and plan for different scenarios with your transportation management company, so that you have back-up plans when schedules change at the last minute. 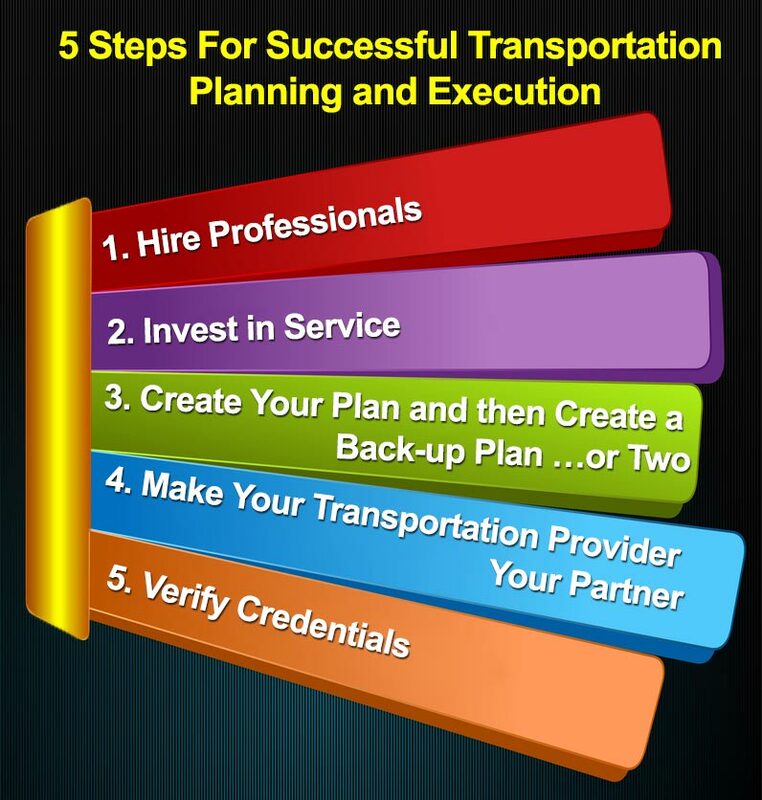 And be sure to communicate regularly with your transportation planning company throughout your meeting or event, so that your liasons there are notified of anything that could impact route schedules and timing. Include your transportation provider early on in the planning stages so that they can provide input on hotel selection and other meeting planning decisions that might impact overall costs of transportation. And consider multi-year contracts, so that you don’t have to spend time bringing a new provider up to speed for every meeting. If you view your provider as your partner, your provider will invest more time in ensuring that you and your attendees receive the best service. Research the company you’re considering and ask for references to clients who have meetings and events similar to yours so you can verify the transportation provider’s quality of service. This will help ensure selection of the best provider for your needs and meeting locations. Event Transportation Systems offers experienced experts and unmatched event transportation planning and execution for clients throughout the United States and Canada. Let us make your meeting, conference or convention a success. Contact ETS today.